Since 1927, the ECLATEC offer has been based on careful attention to social, urban and technical developments. Today, these trends place Life, the Town and Nature at the focus of ECLATEC’s urban lighting design. Proposing the right solution which contributes to the harmony of urban sites in all their diversity involves opening up the range of choices. The ECLATEC offer includes decorative and functional lighting for pedestrian or roadway applications in contemporary or more conventional styles. Reducing energy consumption and providing the right level of lighting according to the context also means offering a wide range of high-performance technologies whether it be for light sources (standard or LED), equipment or options. 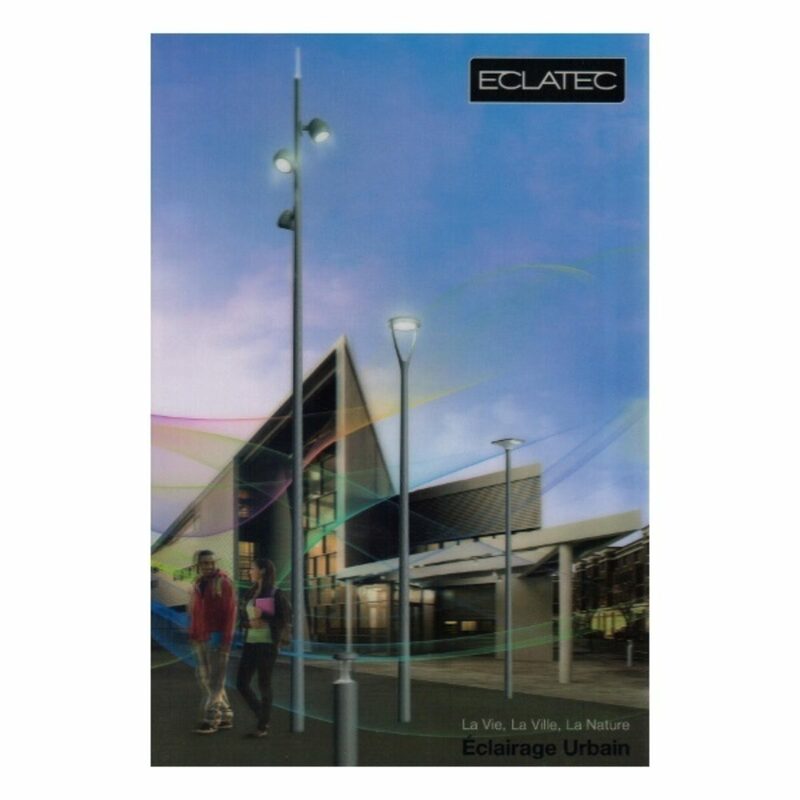 This collection presents the main public lighting solutions designed and manufactured by ECLATEC. The first pages contain decorative lighting, mainly for pedestrian areas, then roadway and functional appliances. These are followed by neo-classical or classical luminaries, and lastly the range of other ECLATEC products (bollards, lightstacks, floodlights, brackets, etc.). Your local agent will be delighted to provide you with further information and news on these products and their developments. You can download here the complete export catalog Eclatec 2018 (77 MB).